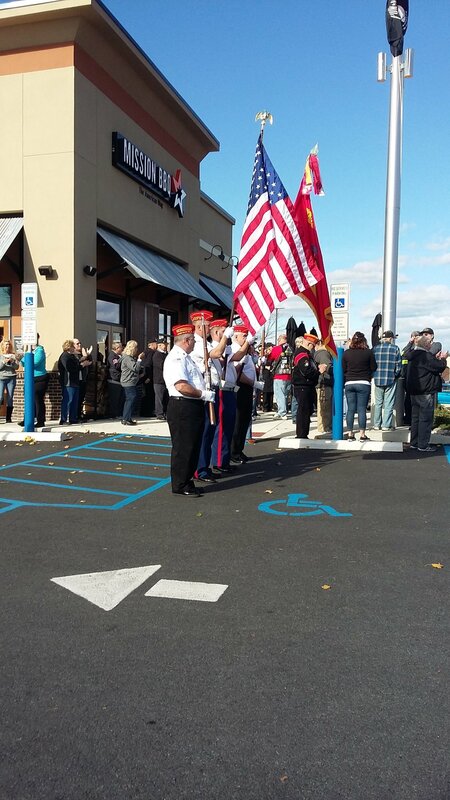 On November 11, Veterans Day, an Honor guard was provided to Mission BBQ for there daily noon time patriotic display. 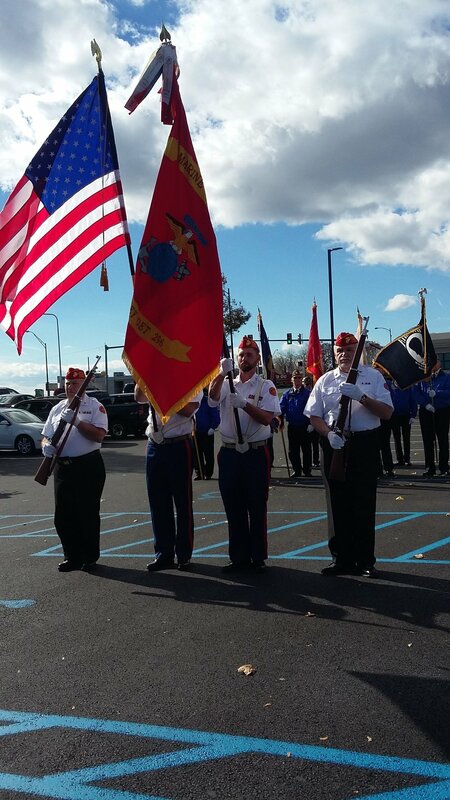 Of course this day is special and was shown by the attendance of special Veteran groups. 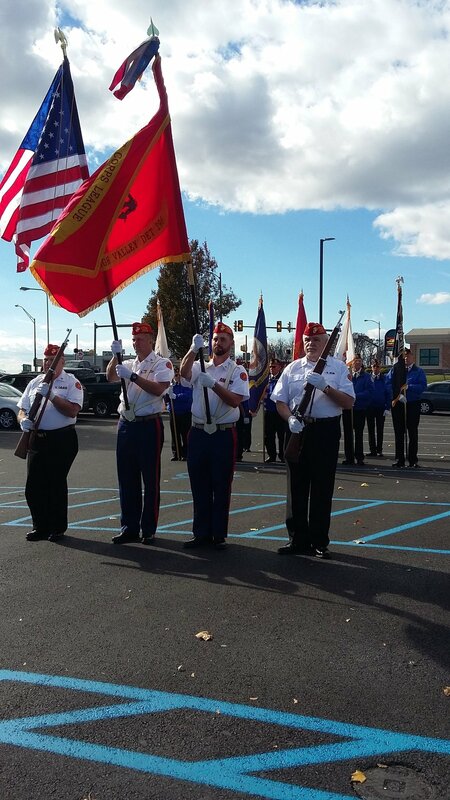 In attendance for the color guard were Anthony Reed, Howard Schaeffer, Josh Brown and Mike Donatacci. After our duties were performed a outstanding free lunch was provided by Mission BBQ.